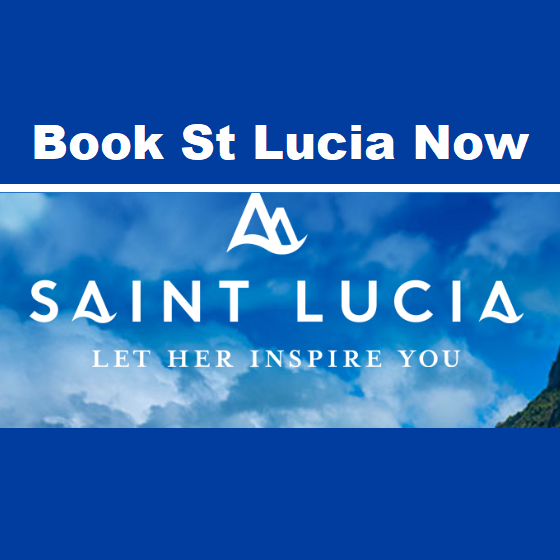 We are pleased to introduce you to the Saint Lucia Culinary Team who represented Saint Lucia at the Taste of the Caribbean in 2017 and 2018. We are very proud of their performance of the event and wish them the very best in their future endeavors. Chef Billy Mauricette is an ambitious, passionate 21-year-old Junior Chef from the small community of Anse La Verdue, Canaries. His early passion and dedication for the culinary arts propelled him towards a number of extraordinary achievements and opportunities over the last four years. Currently a Junior Chef at Cap Maison, this National Culinary team member picked up the coveted silver medal in the Junior Chef Competition at the 2017 Taste of the Caribbean competition in Miami Florida. Billy’s culinary career started with a placement at Caribbean Pirates Restaurant through the Saint Lucia Hotel & Tourism Association’s Apprenticeship program where a solid foundation was fostered under the mentorship of Chef Noel and Chef Robby Skeete. He also trained at a number of other hotels and restaurants in the North of the island before accepting a job offer at the award winning Cap Maison where he has thrived over the last three years. As a member of Saint Lucia’s 2018 National Culinary Team, Chef Billy will once again compete in the Junior Chef competition where he hopes to walk away with the gold plate. Robert Reagan McDonald is a Pastry Chef at Sandals Halcyon. Born and raised in St. Elizabeth, Jamaica, Chef Robert trained in Jamaica at the Heart Trust before moving on to work in resort kitchen in Jamaica, Florida and currently as the Pastry Chef at Sandals Halcyon Beach Resort & Spa in Saint Lucia. Chef Robert’s passion for pastry began when he was given the opportunity to work in the Pastry Department at Sandals South Coast in Jamaica. He worked there for five years as a Pastry Cook then moved on to work at Gasperella Inn in Florida where he spent nine months as a Pastry Cook. 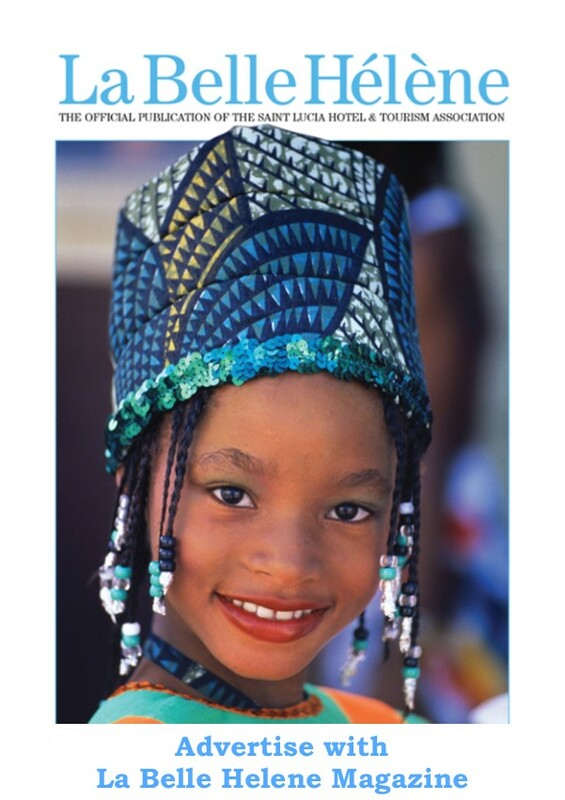 He later returned to Jamaica and worked at Iborastar Resort for six months. With Saint Lucia now home for himself and his family, he hopes to become one of the best Pastry Chefs in the Caribbean. 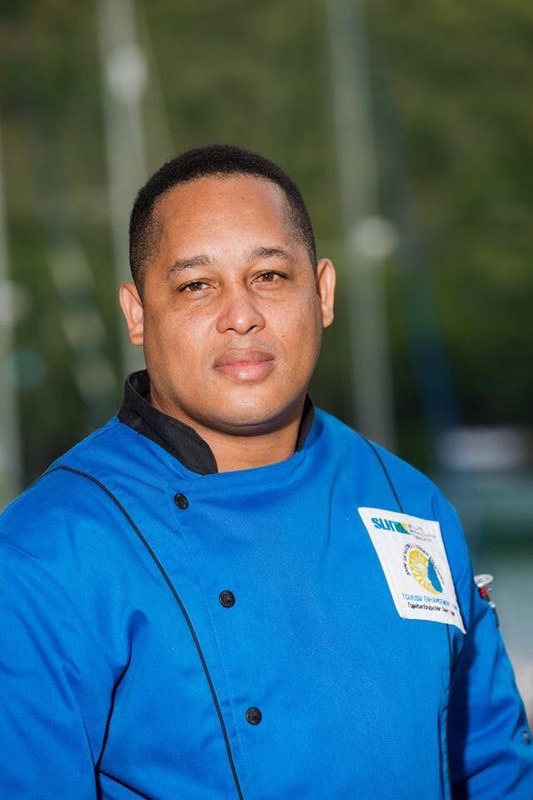 As a member of the 2018 Saint Lucia National Culinary Team, Chef Roberts will bring his talents to the pastry competition at this year’s Taste of the Caribbean competition. As the eldest child growing up in Anse La Verdure, Chef Klent Abel learnt how to cook with his mother at a tender age. Ironically, growing up Chef Klent was more inclined to study business focused subjects, however his first job as a steward at Ti Kaye Village shifted his attention greatly. He was captured by the excitement in the kitchen and under the mentorship of Chef Paul Yellin, he fell in love with the culinary arts and the process of creating a delicious masterpiece out of raw ingredients. He was then promoted to line-cook and his passion was noticed by all his colleagues and The General Manager of Ti Kaye, Ms. Katie Kosiak who also facilitated his Culinary Studies at the Culinary Institute LeNôtre in Paris, France. Chef Klent is still grateful for that opportunity, as it was a staple in his career. Chef Klent has maintained a portfolio of cooking at five-star resorts in Saint Lucia, to include Sugar Beach and Anse Chastanet/ Jade Mountain and The Custard Apple in Antigua. 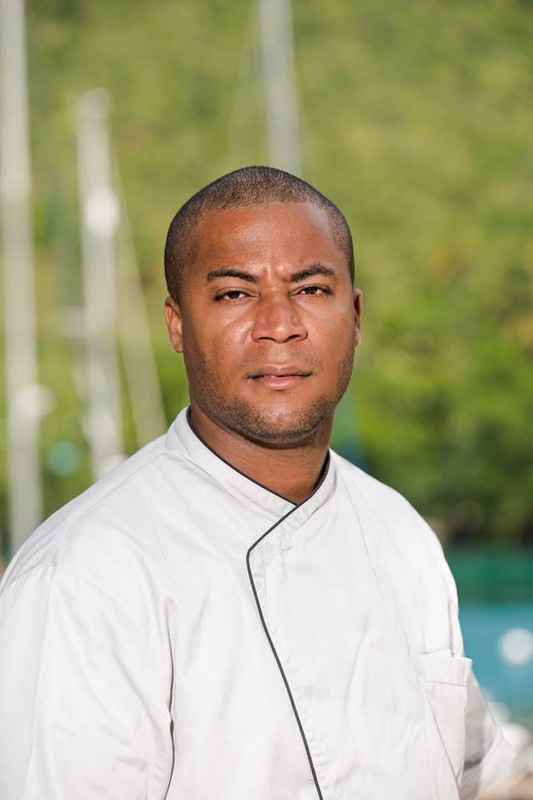 He is currently employed at Capella Marigot Bay Resort and Marina, started under the mentorship of Executive Chef Brandon McGowan and his current mentor Executive Chef Billy Boyle. Chef Klent was awarded the 2016 General Manager’s Zeitgeist Award and is currently the Executive Sous Chef at Capella Marigot Bay. 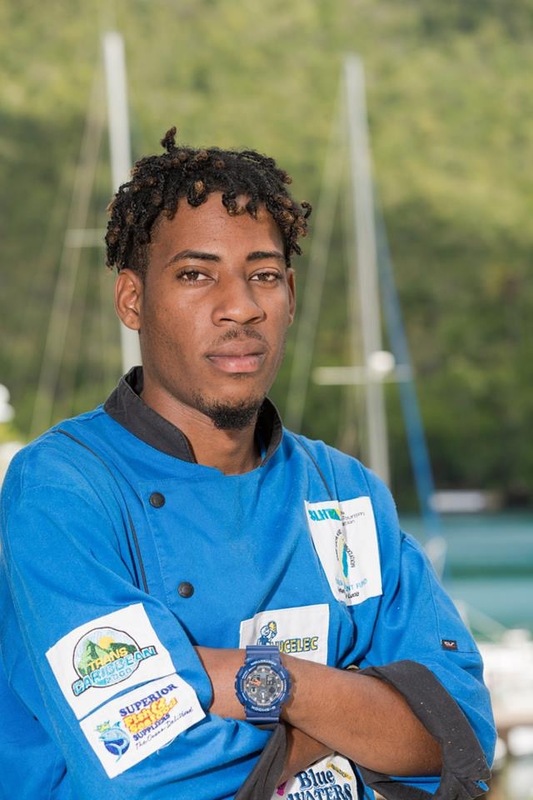 Chef Klent will have the opportunity to put his skills to the test when he competes for Saint Lucia in the Seafood Competition at this year’s Taste of the Caribbean competition. Chef Kisha Prosper, a devoted mom and diligent worker, is the chef de Partie at Sandals Halcyon Beach Resort & Spa. 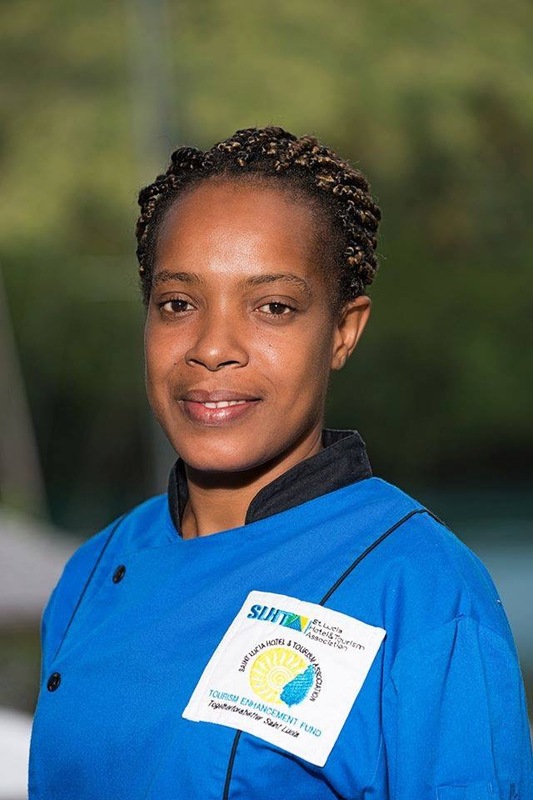 Chef Kisha represented Saint Lucia at the 2017 Taste of the Caribbean competition, where she walked away with the bronze medal in the Chocolate competition. Kisha’s career started at St. James’s Club Morgan Bay, an experience she describes as helping to push her to learn more and develop her craft. She then move to Smuggler’s Cove Resort & Spa and has spent the last six years of her career at Sandals Halcyon. Chef Kisha’s dedication to her profession has resulted in her most recent accomplishment, a promotion to chef de Partie. Chef Kisha will once again return to the 2018 Taste of the Caribbean Chocolate competition where she hopes to improve on her performance and take home gold. Germain Sydney brings to the team over twenty years of bartending experience. 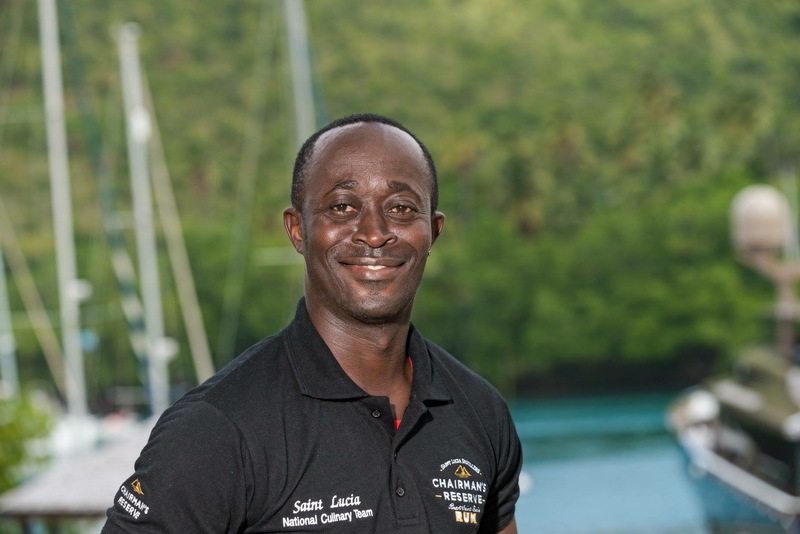 Undisputedly one of Saint Lucia’s most decorated bartenders he was the winner of the Chairman’s Reserve Rum Competition in 2017, and was also the winner of the 2018 Chairman’s Reserve Spiced Rum Competition in 2018. Germain accolades also include a bronze in the individual bartending competition and a team silver at the 2017 Taste of the Caribbean competition. Germain enjoys learning new mixology styles and techniques and places great emphasis on ensuring that he utilizes local rums in all of his cocktails. Germain will once again bring his mixology talents to the 2018 Taste of the Caribbean bartending competition where he hopes to improve his performance from last year and support the other members of the team. 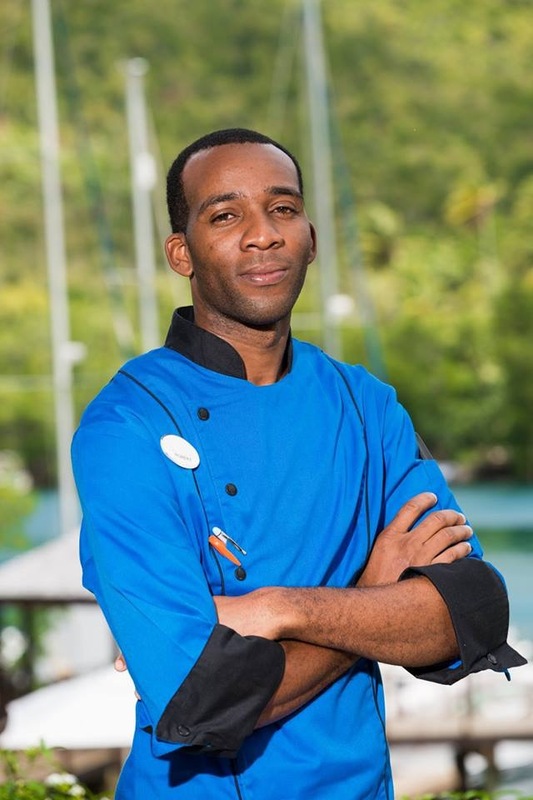 Chef Niguel Gerald is the Senior Sous Chef at Sandals Halcyon Beach Resort & Spa. The winner of the bronze medal in the Chef of the Year competition at the 2017 Taste of the Caribbean Competition. Chef Niguel has been with Sandals Resorts International for close to twenty years where he started in the position of Steward. Since then he has thrived with the help of many training and certification programs including courses at the Sandals Corporate University, Monroe College, Springboard Training Institute and Liasion College in Canada. Chef Niguel now oversees a team of young chefs in his position of Senior Sous Chef at Sandals Halcyon’s Bayside Restaurant. He will bring his years of culinary experience and lifelong love for cooking to the 2018 Saint Lucia National Culinary where he will once again vie for a medal in the Chef of the Year competition at the 2018 Taste of the Caribbean Competition. Born in the community of Fond Assau, Babonneau, Chef Nissa Paul is a Junior Sous Chef at Windjammer Landing Villa Beach Resort. Her journey as a Chef began as a member of the kitchen brigade at The BodyHoliday where after five years with the Resort, her youthful enthusiasm and passion for her craft drove her to pursue new opportunities onboard Disney Cruise Lines where she gained invaluable experience in their international kitchens. She describes her time onboard Disney as a test of strength, skills and a time of great interpersonal growth. 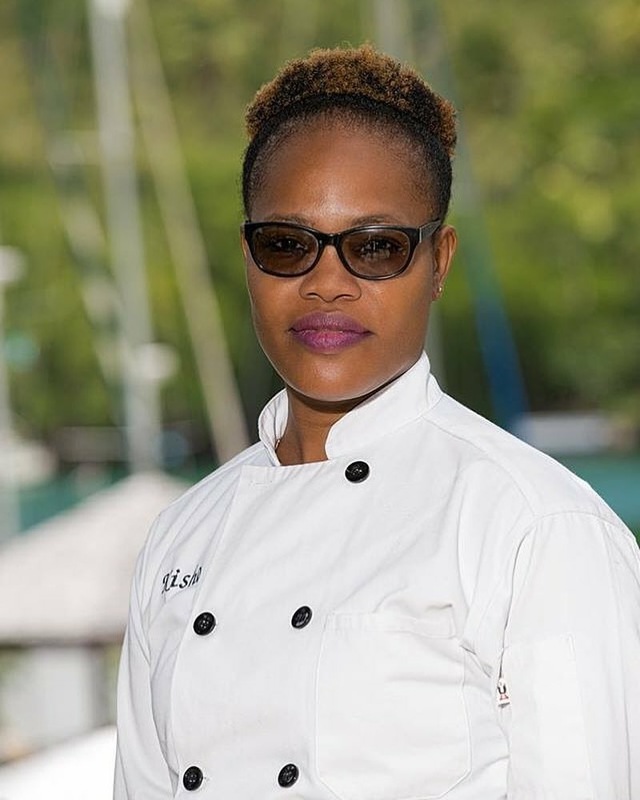 Presently a member of the Windjammer Landing team, Chef Nissa achieved the silver medal in the Beef competition at the 2017 Taste of the Caribbean competition and will return to the 2018 competition with the goal of attaining the top prize.